As I alluded to in 2015 Year in Review post, I wanted to post a recap of all my travel from the past year so here is a summary of our travels from the past year & how I burned over 1 million points in 2015 broken down by the various trips we took this year. 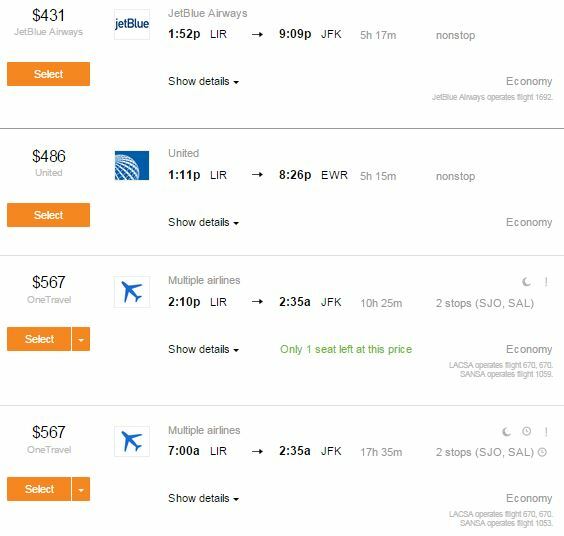 For this trip, we booked a cheap airfare about 9 months out or so when fares from NYC to Aruba dropped to $300 roundtrip which is fansatic for winter (and especially MLK weekend). Of course, I used some Delta e-gift cards I got my from various Platinum cards to offset the flight cost. 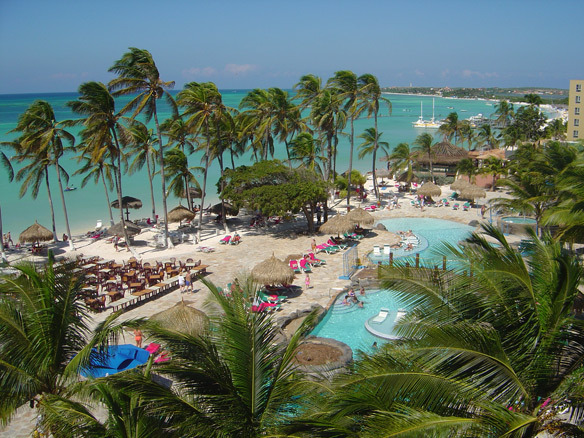 We stayed 3 nights at the Holiday Inn Aruba at 25,000 points a nights with no resort fees or taxes. It wasn’t the most luxurious hotel but it had a great beachfront location. 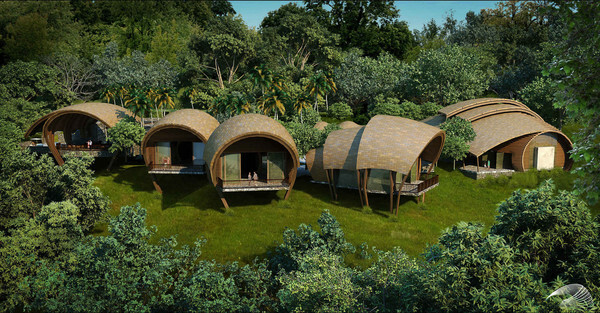 I would return for a long weekend in a heartbeat, especially at only 25,000 IHG points a night. See this Award Trip Breakdown post for more details. This was our first big trip of 2015 with 3 nights on the Big Island, followed by 6 nights in Maui. We booked first class flights on Hawaiian with the outbound routing of JFK-HNL-KOA and return of OGG-HNL-JFK for 80,000 Hawaiian miles per person (I did transfer some Amex MR points to top off my account). Our return flight had quite an interesting twist as we assisted in a medical emergency onboard. 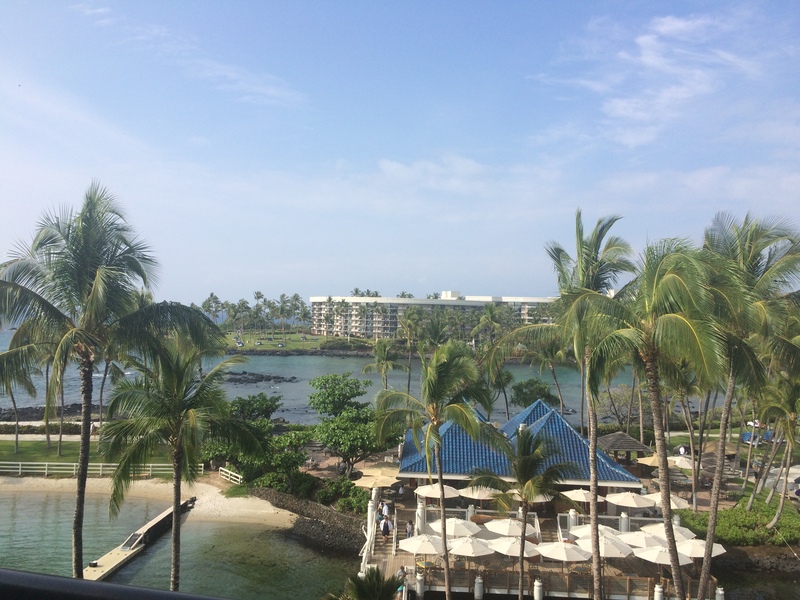 On the Big Island, we stayed at the Hilton Waikoloa Village on a paid stay which was around $130/night if I recall correctly for their new MAKAI rooms since I had booked it during a Black Friday sale in 2014. My wife and I really loved this property and the Big Island in general – we felt it had such a different vibe from what most people think of when they hear “Hawaii”. To get to Maui from Kona, we used 3,000 Virgin America points each for a one way ticket on Hawaiian Airlines which is actually a pretty solid deal, considering these flights can cost $100 or more. Then in Maui we did cash + points at the Andaz Maui for 75,000 points + $150/night co-pay so I could use a Diamond Suite upgrade…which led to this post. However, Hyatt was running a promotion for Hyatt Visa cardholders and I got 20% of my points back (hence the 60,000 total in the title). 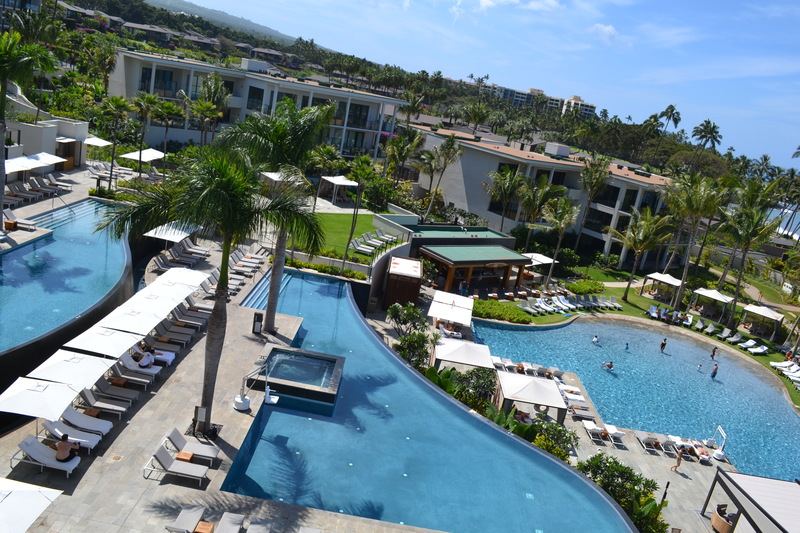 Even with the all complaints on Flyertalk about the Andaz Maui (resort fee, reduced breakfast for Diamonds, lack of cash+points), it remains my favorite domestic hotel and it took a lot for me not to return to it this year on our April 2016 trip to Hawaii. For more details, see this Award Trip Breakdown. We went to Seattle for a long weekend to visit one of Andrea’s friends and set up base at the Hilton Seattle using 2 free nights from the Citi Hilton Reserve (yes, I know it wasn’t the best use of the free nights but our original plans for Italy fell through) + 50,000 Hilton points for the 3rd night. For the flights, we paid for the outbound as it was only $162 per person (we used Delta e-gift cards again) but all the return flights were pricing at $275 + for a one way since we wanted a red-eye back to NY to maximize our time in Seattle. 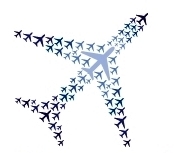 I ended up using 20,000 Delta Skypesos per person – see this Award Trip Breakdown for even more details. We wanted to go away for the July 4th weekend and to figure out where to go, I used American’s Award Map tool which I talked about in this post. The only island that had availability was Antigua so we decided to use British Airways Avios at a rate of 20,000 Avios per person instead of the 35,000 miles American wanted. For the hotel, there are no chain hotels so I decided to take advantage of the 4th night free benefit from the Citi Prestige card and booked the Sandals Antigua. Since we went for exactly 4 nights, we only paid for 3 nights but even with this perk I don’t think I’d return to this Sandals anytime soon. My wife was running a half marathon in Chicago so we headed off to the Windy City for 2 nights. 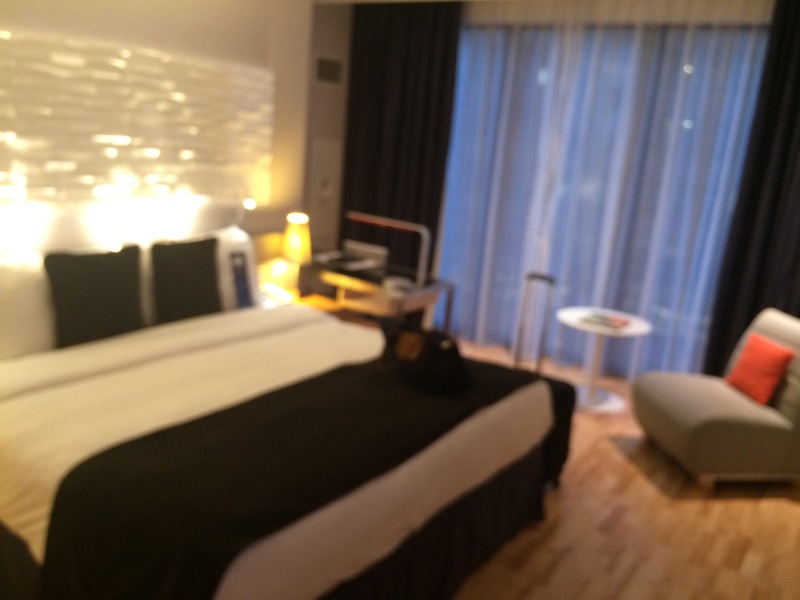 We booked a cheapish roundtrip on American for ~$225 roundtrip and stayed at the Radisson Blu Aqua hotel, which is part of the Club Carlson group of hotels. We chose this hotel since at the time, I had the Club Carlson Visa which allowed you one night free on all award stays – so for our two night stay, we paid for one night in points (50,000) and the other night was free! Unfortunately Club Carlson discontinued this perk and I cancelled my card shortly thereafter. 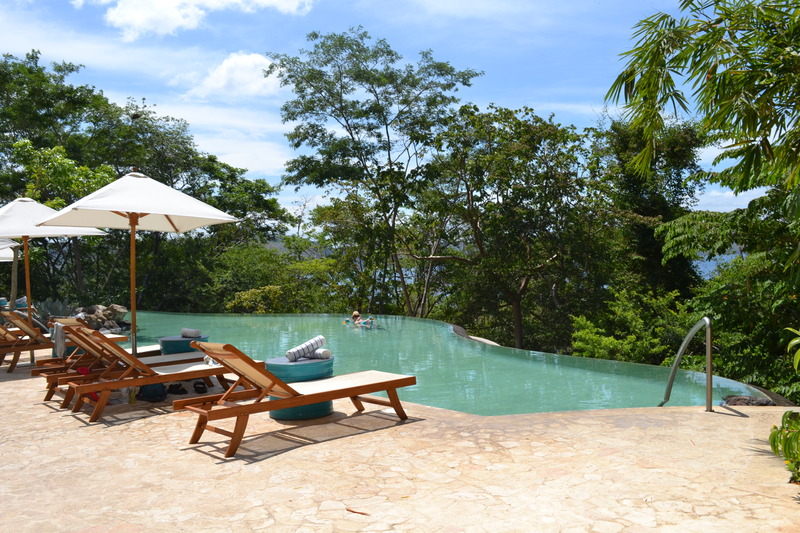 I’ve always wanted to try out the Andaz Papagayo Resort in Costa Rica so we planned a 4 night stay there with some friends for our first trip to Costa Rica. The Andaz is located on the west coast of Costa Rica and you need to fly into Liberia so flights are bit more scarce than say to San Jose, Costa Rica. Coming from NY, I really wanted to fly the only non-stop on JetBlue and we did though it cost us a boatload of points. However a large portion of that high cost in points (almost 30,000 additional on top what was already booked) is that I had to change our return flight only about a month out since we had to return a day earlier (for my wife’s new job) and cash prices were quite high. I talked about my decision in this post (and yes it still hurts I had to burn that many points for an economy flight). For the hotel, I once again used cash & points for the first 3 nights (7,500 points a night + $100 copay) so I could use a Diamond Suite Upgrade. For the last night, I used the 2014 free anniversary night from my Hyatt Visa since this is a category 4 hotel and they were nice enough to let us stay in the suite for the night. 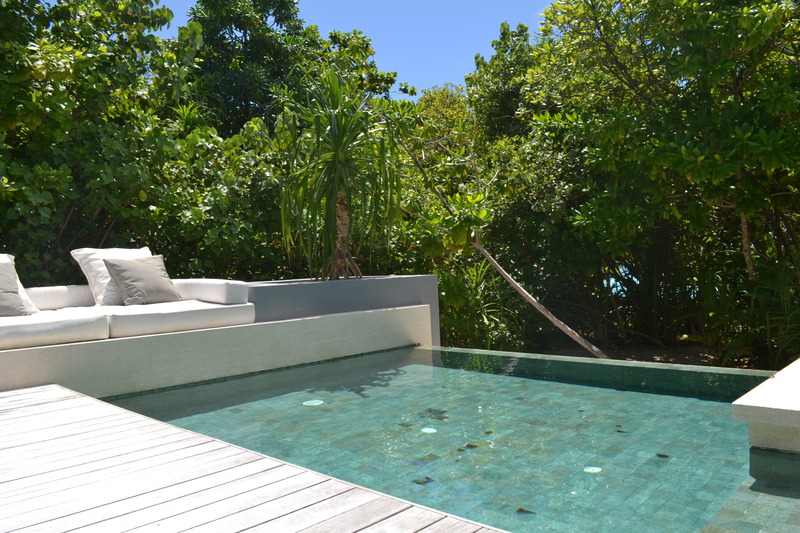 We loved this hotel and how secluded it was – highly recommended for a relaxing getaway. Ok, this was the BIG trip in 2015 for our second anniversary – and quite possibly our favorite trip ever. 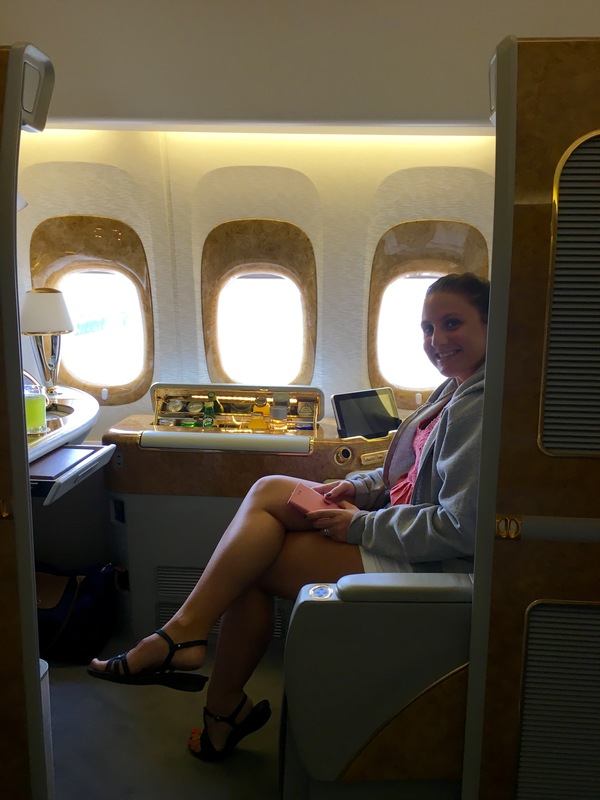 It had amazing first class flights on Emirates & Etihad and two great Hyatt hotels. 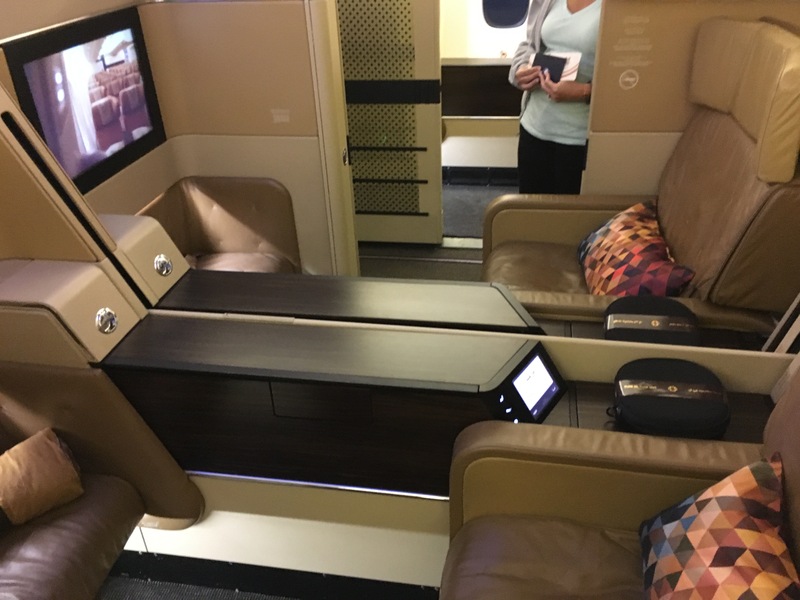 For the outbound we used 90,000 Alaska miles per person for a JFK-Dubai (2 night stopover) – Male routing on Emirates first class. 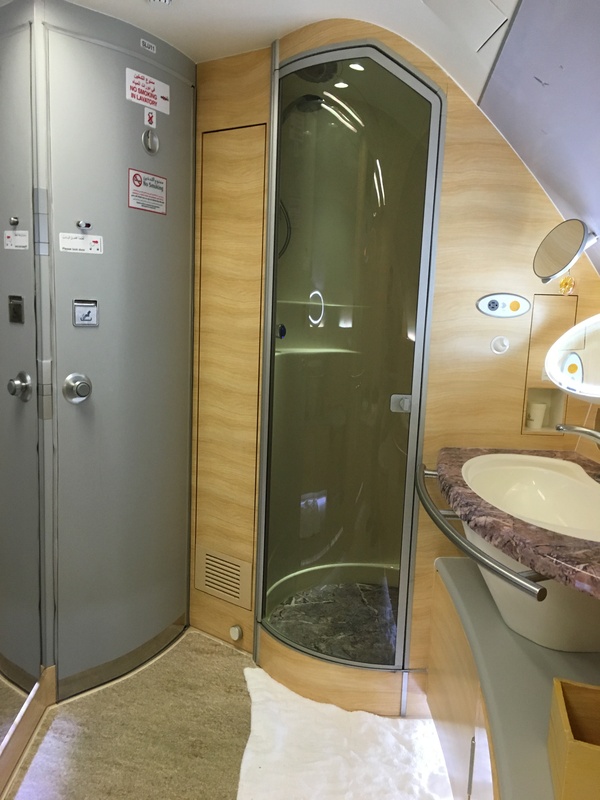 Yes, we even got lucky and the Dubai-Male leg had an equipment change with a 777-300ER with first class suites! 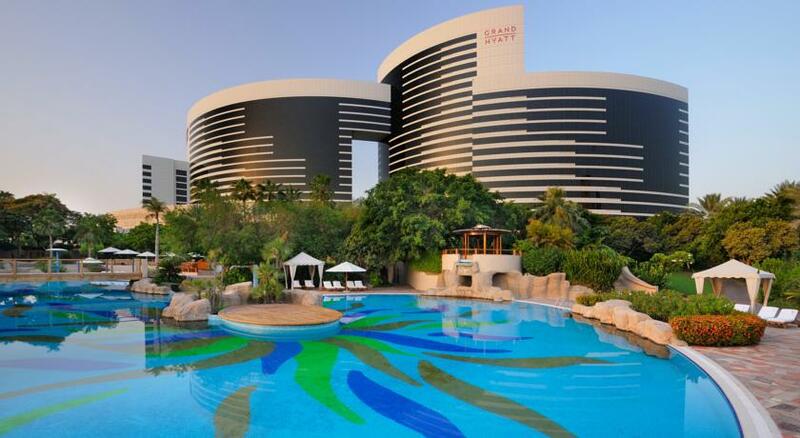 Our hotel in Dubai was the Grand Hyatt Dubai which is a category 4 hotel so we were able to use my 2015 & 2016 Hyatt free nights here as Hyatt was able to extend the expiration date of my expiring 2015 free night. This served as a solid base for our 2 nights in Dubai as it was only 10 minutes from the airport. In the Maldives, we stayed at the Park Hyatt Maldives using 2 free night from Andrea signing up for the Hyatt Visa + 100,000 Hyatt points for the other 4 nights. 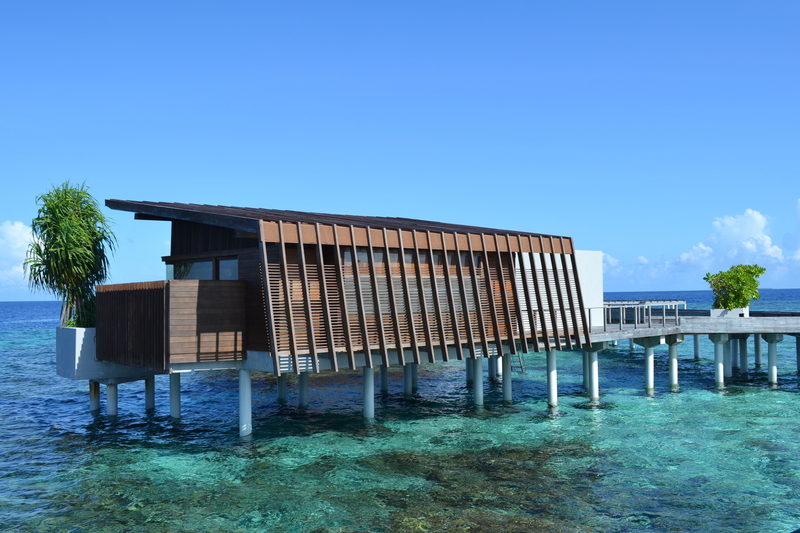 We decided to upgrade from the base villa to a private pool villa for 3 nights and an overwater villa for 3 nights. I’m behind on trip reports but I do plan a full review of the property (and the trip in general). Spoiler alert – it was awesome! 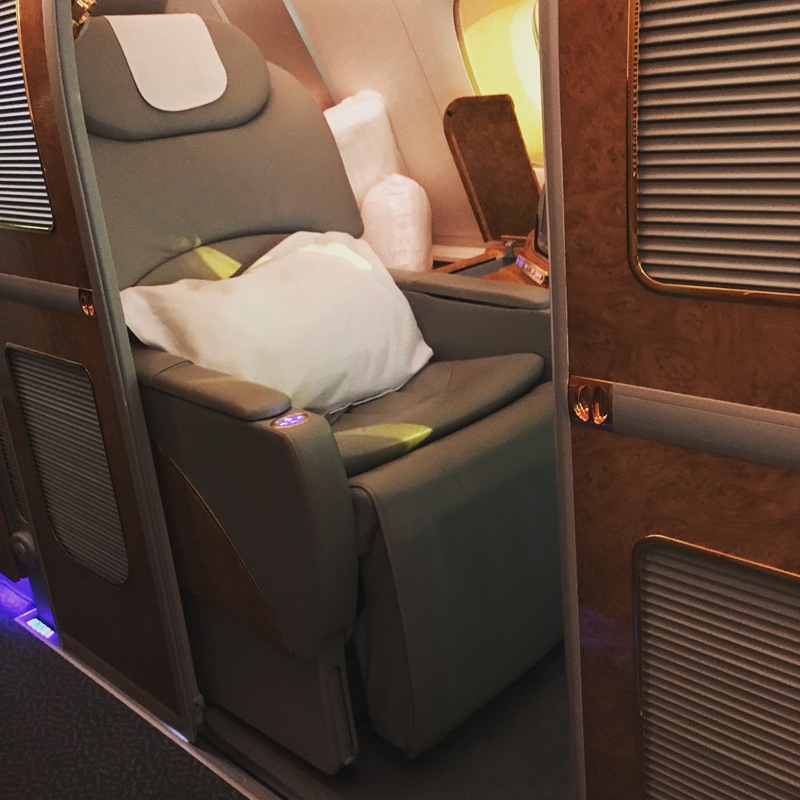 Finally for the return flight home, we burned 90,000 American Airlines miles per person for a first class routing on Etihad home of MLE-AUH-JFK. Unfortunately this was about two months before they flew the First Class Apartments to JFK but nonetheless the flight was awesome. 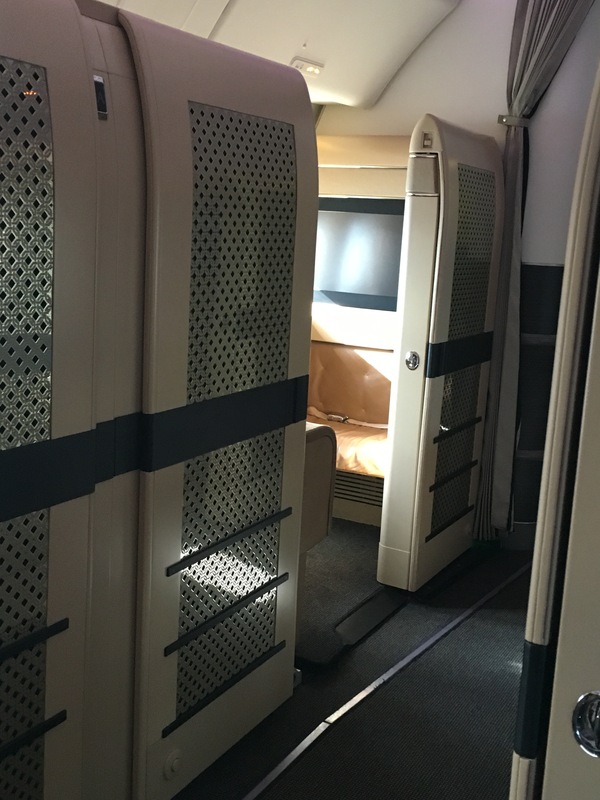 The first class suite on the 777 for the AUH-JFK is very comfortable and the chef for first class was a great perk. It was our longest flight at almost 14 hours and 7,000 miles. I’m happy we were able to travel as much as we did in 2015 and even happier to do it for a small fraction of the retail cost of all this travel. Here is to making 2016 just as memorable! 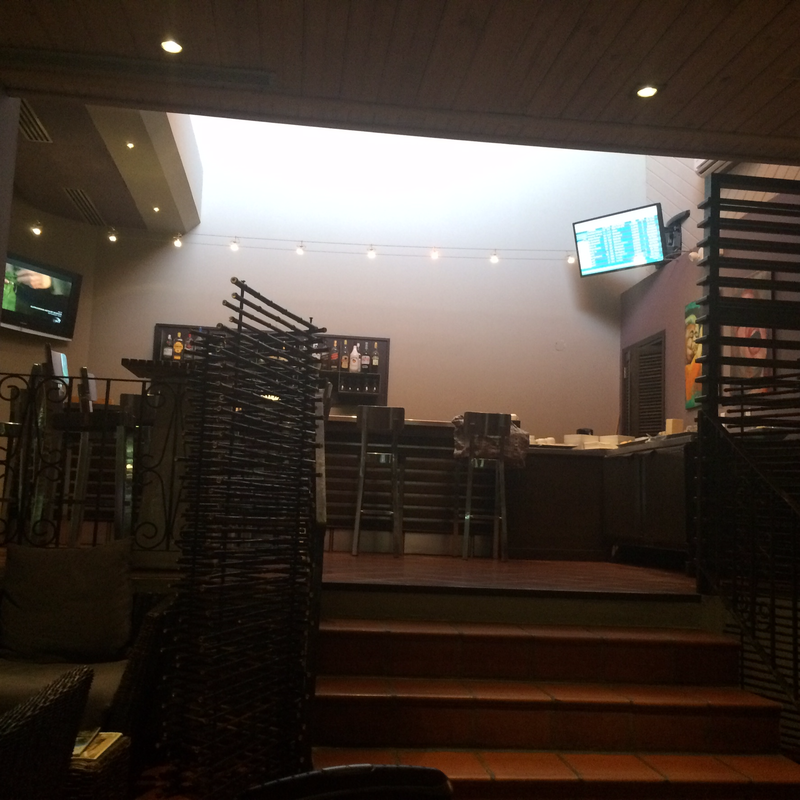 We got back last week from our short 4 night stay in Antigua over the July 4th weekend and I’ll start by giving a quick recap of our flights as well as a review of the Big Banana (Club 1761) Executive lounge, a Priority Pass affiliated lounge in the Antigua V. C. Bird International Airport. I wrote how I booked these flights earlier by using the American Airlines Award Mapper tool to help me plan a trip to the Caribbean over the holiday weekend. 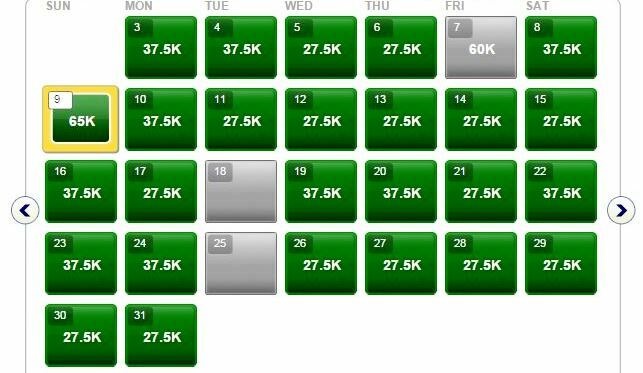 I booked these roundtrip flights using only 20,000 British Airways Avios per person instead of 35,000 American Airlines AAdvantage miles that American would have charged. I won’t go into too much detail as no one wants to read about a run of the mill economy class flight to the Caribbean but in case you didn’t know, American Airlines tends to fly some of their oldest 737s and 757s on these routes. 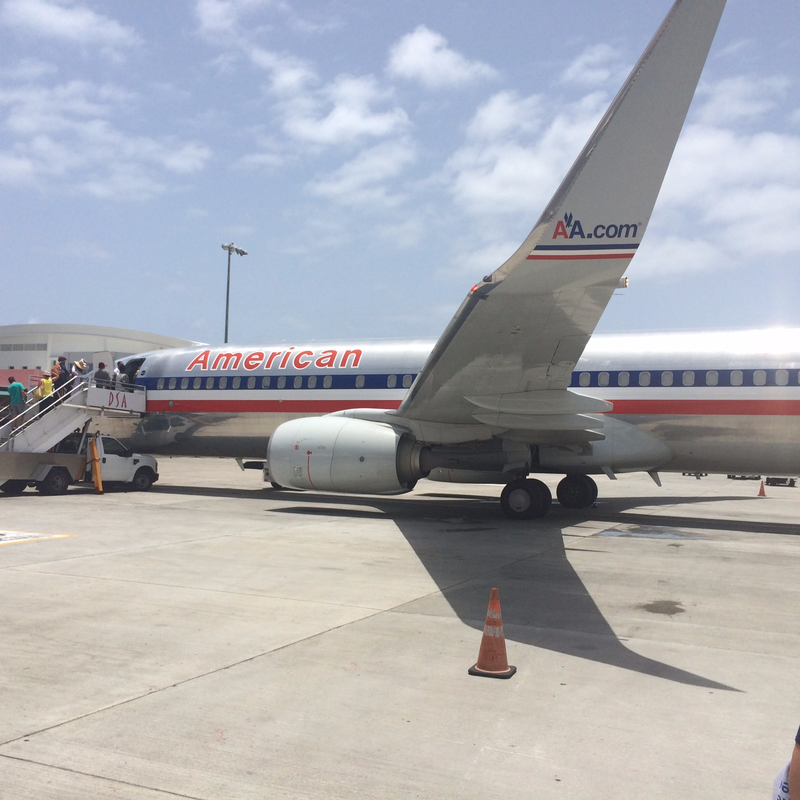 Our flight to Antigua was uneventful but was on a old 737-800 that had seen better days. We did have lounge access to the Admirals Club at JFK T8 but due to timing, we didn’t have a chance to check it out. The way home has a little more to discuss as we had lounge access again, this time thanks to my Priority Pass membership that came with my Citi Prestige card. After clearing security, the seating area at Antigua V. C. Bird International Airport is quite dismal. It opens up to a relatively small seating area in the center of the terminal that has a few gift shops and a food counter. Interestingly, you are not allowed to proceed to the gates until they call boarding and they do that since the gate area isn’t like a traditional gate area – it is basically 4 doors (4 gates) right next to each other with no seating in that area at all. In short, you don’t want to spend a lot of time in this airport as it is quite small and outdated though a new terminal should be opening soon from what our driver told us on the way to the airport. Anyway, we felt lucky to escape to the lounge which was a quick walk upstairs. I don’t have a picture of this but when you got to the top of the stairs, it was a ghost town. Just a bunch of empty chairs and a vending machine that was chained up. There was literally no signs of life upon entering this floor. However, off to the left & tucked away in the corner was the lounge entrance which could easily be missed. We walked into the lounge and I was immediately hit with some sort of odor – I don’t know whether it was related to the humanity, stale air or what but it wasn’t the most pleasant. We decided to stick it out as sitting downstairs in the crowded terminal wasn’t appealing either. Upon entering I presented my Priority Pass card and we were promptly admitted with the host leading us to a couch area and asking us for any drinks which I thought was a nice touch. We had about 45 minutes to kill before boarding so I took a look at the food and beverage offerings. The bar (alcoholic drinks were complementary) had your standard selection of booze in addition to water and soft drinks available. The food however, left a lot to be desired. 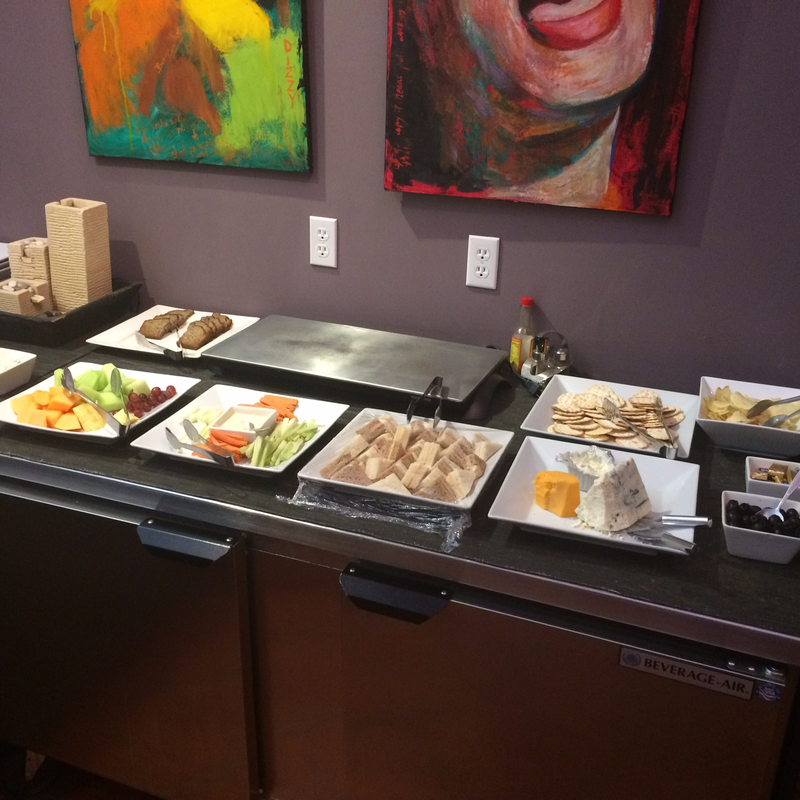 It basically consisted of fruit, cheese, crackers and some finger sandwiches but I got this impression this lounge wasn’t the cleanest and that kind of scared me away from the food. It wasn’t that the lounge was dirty per se but more I wasn’t sure proper hygienic precautions were taken with the handling of the food. It very well could be fine (and probably was) but I chose to stay away. The lounge had Wifi and was reasonably quick so that helped pass the 45 minutes quite quickly until it was time to board. Remember how I said you wait in the middle of the terminal until they let you into the gate area to board? Well this became interestingly when my name was called butchered over the intercom. You see I was using a mobile boarding pass which wasn’t an issue for security or immigration officials but was an issue for the agent guarding the gate area entrance. I explained I was called to the gate and she asked for my boarding pass. When I presented my phone, she was in disbelief that this my boarding pass and kept saying boarding pass at me. After standing there for a minute going back and forth, someone else came over and upon seeing my mobile pass, printed me out a paper boarding pass and I was admitted to the gate area. So why was I called over to the gate area? 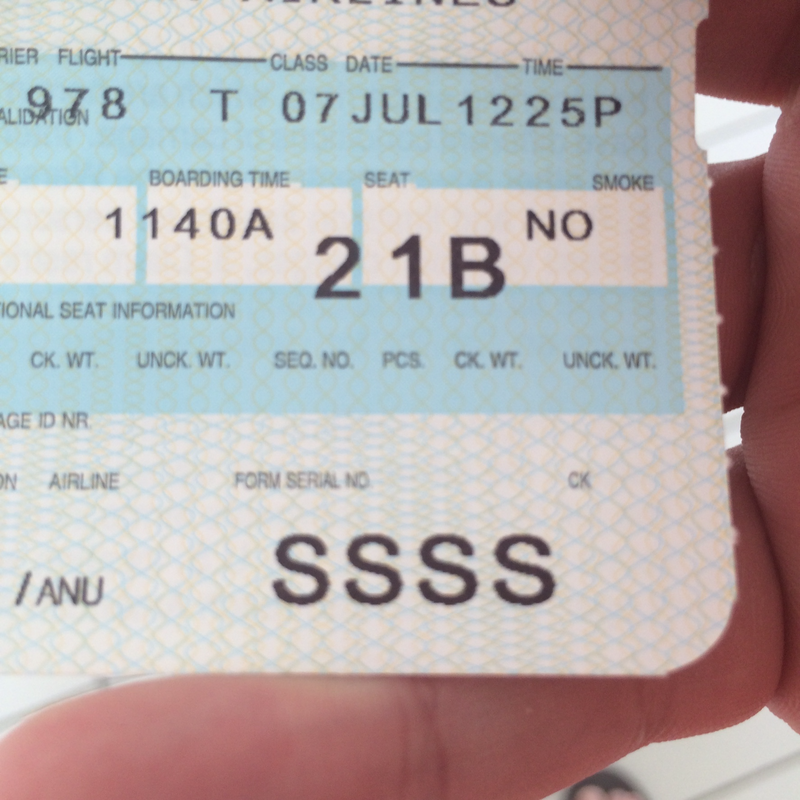 See that SSSS on my boarding pass? That meant I was selected for a secondary security screening selection in which they went through my carry-on, swabbed my hands and bags for explosives and gave me a quick pat-down. Protip: It helps to pay attention to them as I was instead staring outside at the planes and was promptly yelled at to pay attention or else. It was a not so nice end to my time in Antigua. Our flight home was also uneventful though I was grateful for Global Entry as the immigration line was quite long when we entered the terminal. With no bags to pick up, we spend through the customs and we were on our way to the Air Train to head home. From the NY area, at least until JetBlue begins their non-stop service in November, you can’t beat the ease of the American Airlines non-stop flights to Antigua. With prices generally over $500 on this route, this is an excellent route to redeem Avios on and award space has been pretty available in the little bit I’ve monitored it. 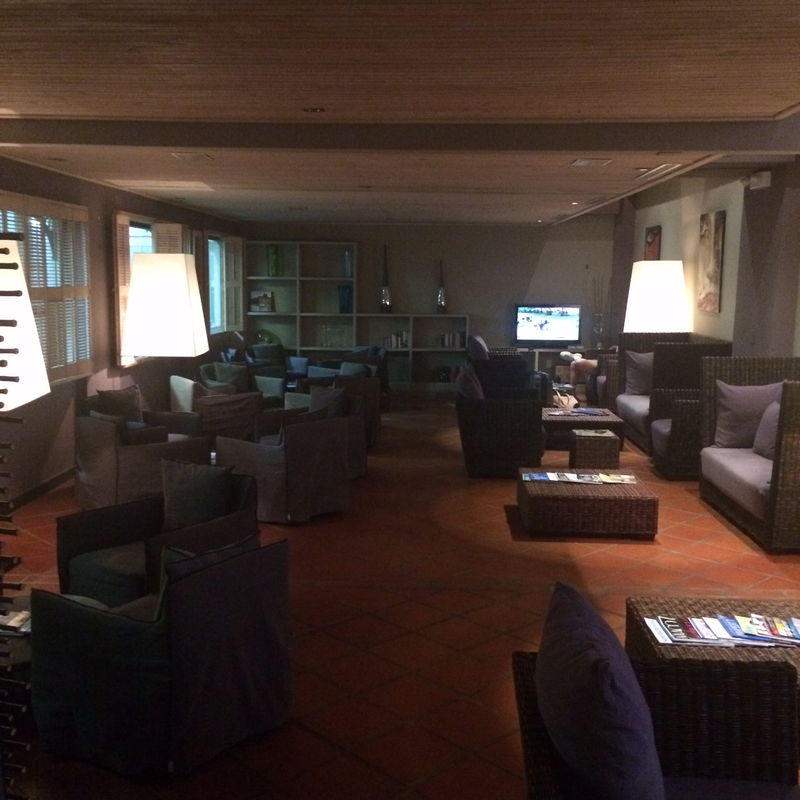 The lounge in Antigua is nothing to write home about but I guess it beats the terminal due to the free Wifi. Hopefully the unpleasant odor that was in the lounge was a one time incident and future experiences will be better. Stay tuned for the final post of this Award Trip Breakdown in which I review the Sandals Grande Antigua and tell you everything you need to know about it. 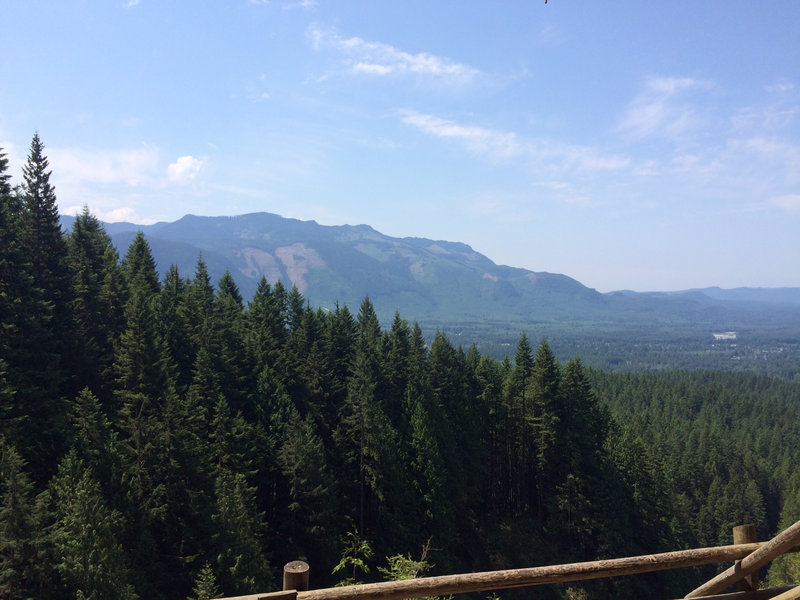 In the first installment of this two part series, I posted about how we were visiting a friend of ours who moved out to Seattle for only $11.20. While the purpose of this trip was to see our friend, we also wanted to explore Seattle as neither my wife nor I had ever been. I thought I would present what we did in a timeline of sorts which really shows how much you can do in a long weekend if you need to minimize vacation time (I only took Friday off from work) while maximizing sightseeing time. 4:00 pm EST- Left work in NYC and took LIRR/Airtrain to head to JFK Terminal 4 for flight. ~6:40 pm EST – Departed JFK on-way to Seattle. Watched several episodes of Sports Jeopardy and realized I’m better than 70% or so of the contestants I saw. 10:20 pm PST (1:20 am EST) – Landed in Seattle and after taxing to gate, taking train to central terminal and waiting, we grabbed a taxi to Hilton Seattle. ~10:45 pm PST (~1:45 am EST) – Arrive at Hilton Seattle, checkin and being too tried for a drink, head straight to bed. Lame, I know. 9:00 am PST – After eating breakfast in the executive lounge at the Hilton, our friend Eileen picks us up for an hour drive to Wallace Falls State Park for a 5.5 mile hike. 2:00 pm PST – After the hike, get back to Seattle and enjoy lunch by Alki Beach. We were absolutely blessed with sunny, 70-80 degrees weather our whole weekend. I hear this is rare for May. 5:00 pm PST – Head to a bar near Safeco field to watch my NY Rangers lost game 7 to Tampa Bay. I did get a free drink – it didn’t make me feel any better. 10:00 am PST – Skip breakfast at the Hilton and head to the new Starbucks Roastery & Tasting Room. What a beautiful space – includes displays with how Starbucks roasts coffee with some impressive looking machines. Also part Starbucks store with several unique food and drink offerings only at this location. Highly recommend a coffee or espresso flight if you are into coffee. 12:00 pm PST – After walking through downtown for a while, we picked up our rental car from Hertz for the day (grand total of $1.75 in fees since I used Hertz points) and drive 30 minutes to visit Boeing for the Factory Tour. 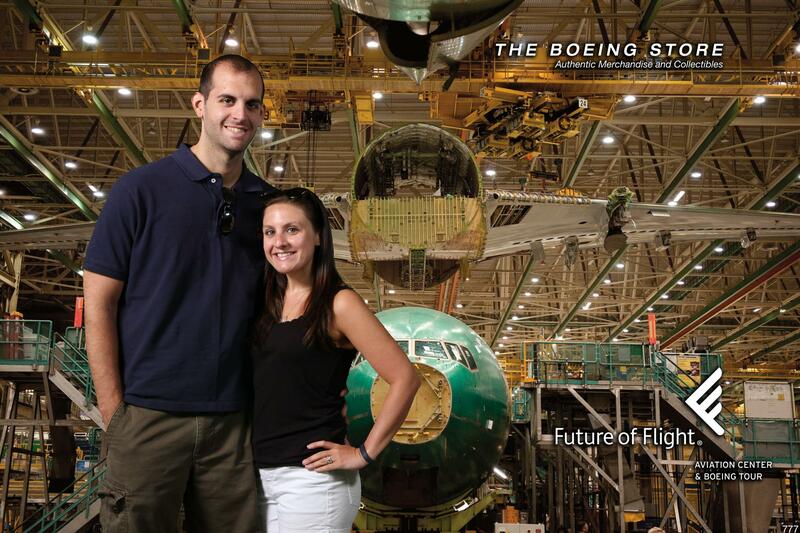 1:00 pm PST – Boeing Factory Tour. If you are an #AVGeek, this is a must do when in Seattle. 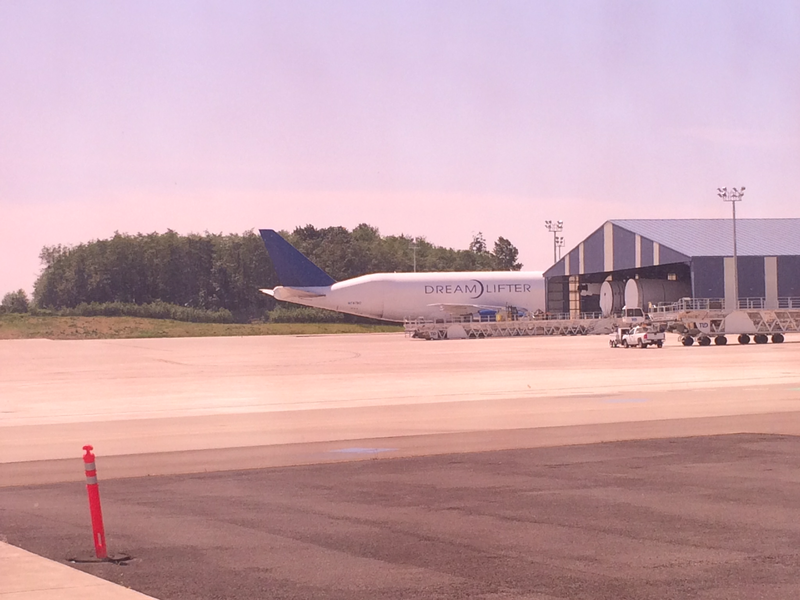 In the world’s largest building by volume (the tour guide stated you could fit Disneyland in the building AND still have 12 acres leftover), we were able to see 747s, 777s and 787 Dreamliners in various stages of production. Really informative and fun. 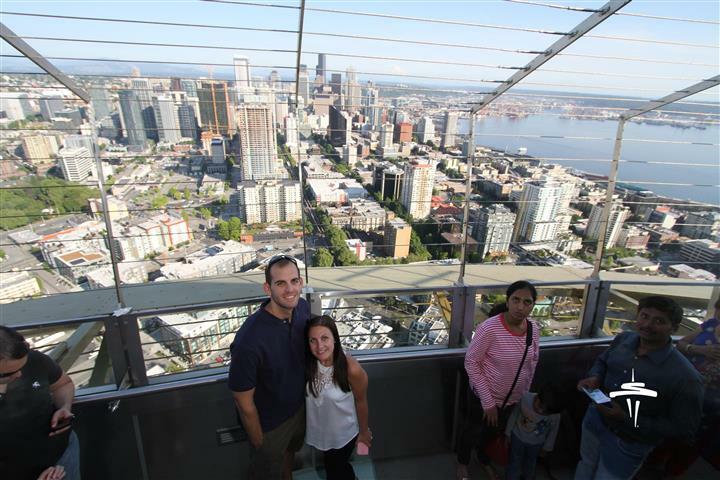 4:00 pm PST – Get back into Seattle, drop off rental car, quick refresh at the hotel and head to the Space Needle. Protip – Buy your tickets in advance as it is a timed entry so you don’t waste too much time in line. 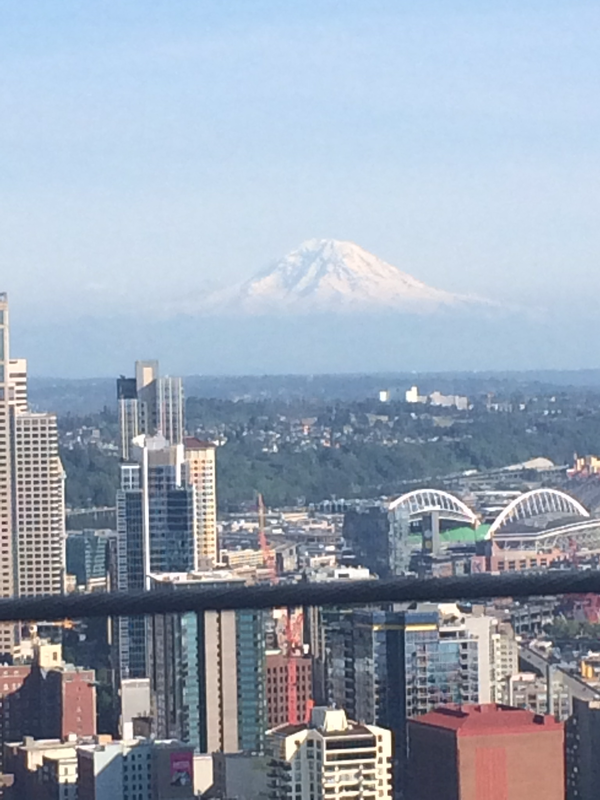 Had a great view of the city and Mount Rainier as mentioned earlier. Didn’t spend a time of here but on a nice day, I think the views are worth it. 6:00 pm PST – Eileen picks us up and we head out to Golden Gardens Park. Grab a nice spot on the beach and enjoy the sunset with some cold beers. Great vibe at the park – worth a stop by if you are near Ballard though parking can be a pain. 8:00 pm PST – Head back to Eileen’s house in Queen Anne and BBQ for dinner & drinks with friends. 8:00 am PST – Up early and head out to the Starbucks Roastery again as I wanted to try some of their different coffee drinks I couldn’t have elsewhere. If you order a coffee flight, you will learn a lot about the different coffee from your barista. 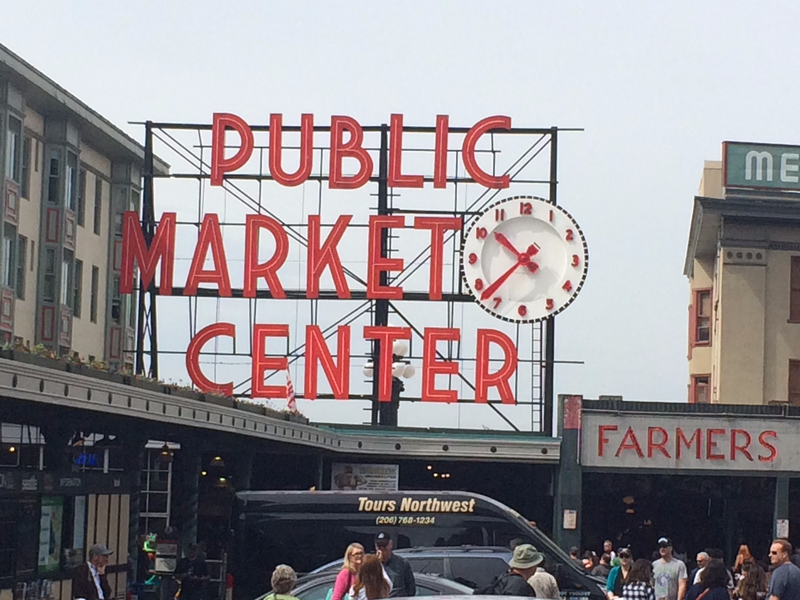 9:00 am PST – Head off to Pike Place Market to see the infamous “flying fish” along with everything else for sale. Maybe its me but I wasn’t impressed on the whole. Felt like a lot of touristy junk for sale mixed with fish and other food for sale. Saw the original Starbucks which actually isn’t the original Starbucks (the very original Starbucks was several blocks away and moved to that location). 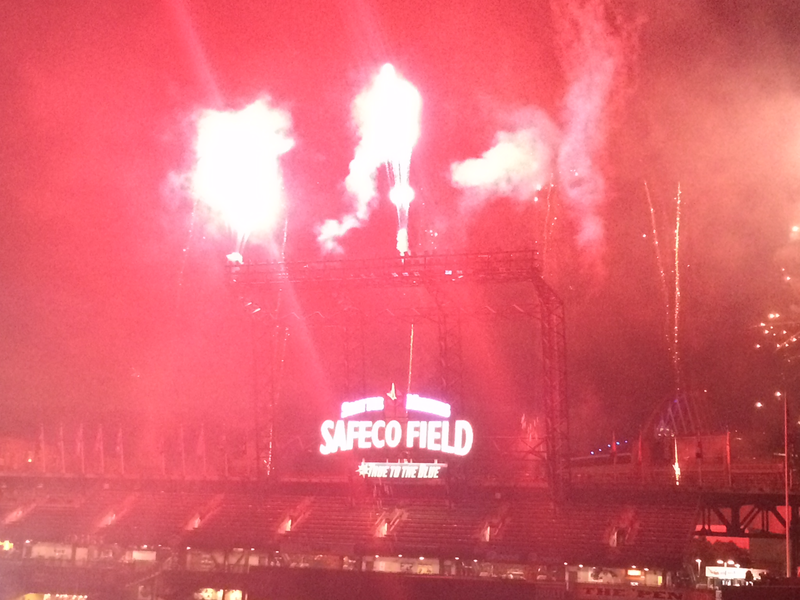 No desire to come back and see this – sorry Pike Place fans. 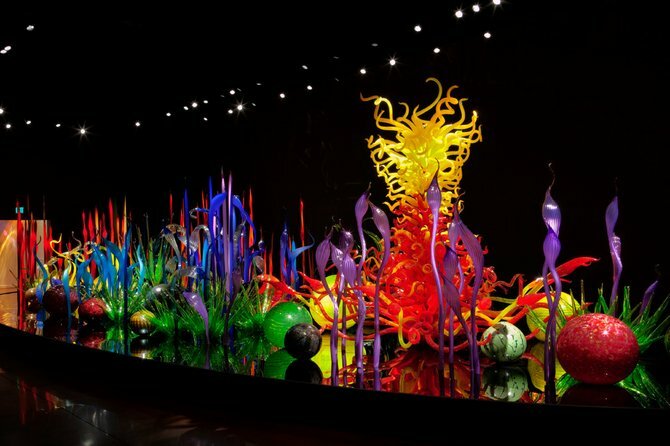 11:00 am PST – On a recommendation, we check out the Chihuly Garden & Glass Exhibit. Featuring the glass work of the renowned Dale Chihuly, this was one of the most stunning exhibits I’ve ever seen. I kept asking myself how the heck did we blow glass into that!?! We spent an hour here and left very impressed. 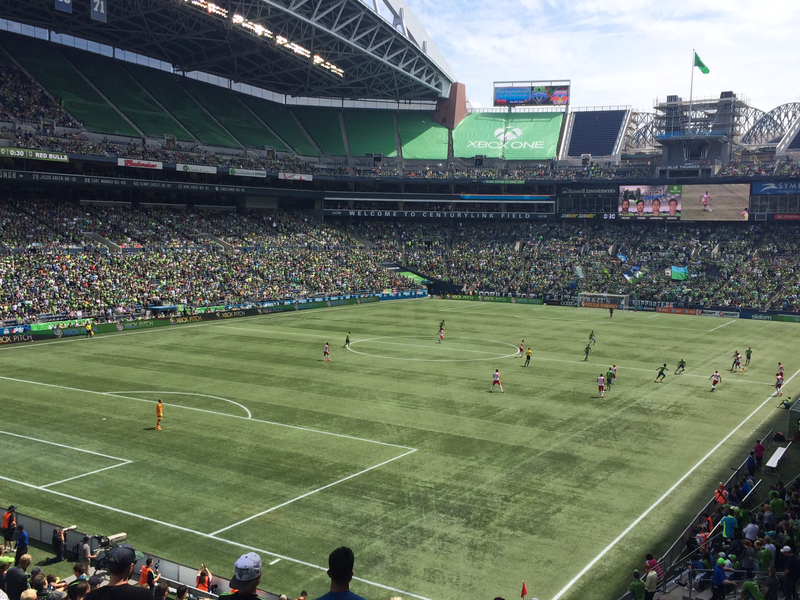 2:00 pm PST – Took an Uber to CentruyLink Field to catch the Sounders vs. Red Bulls soccer match. Walked around the stadium pre-match and it was a great atmosphere. It was my first MLS game but I was hooked! Sounders fans are loud and kept it going the whole match. A great time even for my wife who never watched any soccer match before this. 7:30 pm PST – Finally stumble back to the hotel where we pick up our luggage we stored there for the day. Requested an Uber and was off to Sea-Tac for the flight home. 8:45 pm PST – Had some crappy dinner in the dinner. In the Delta S gates, there is nothing to eat. All awful choices with some meager food-court and a gross restaurant. Please eat before you get here, you’ll thank me later. ~9:50 pm PST – Depart Sea-Tac for the short 4.5 hour red-eye home to JFK. 5:45 am EST – Land at JFK, quick Uber home so I can shower & change and then off to work. Successful long weekend in Seattle complete! Who says you can’t fit a lot in a long weekend? I felt we did a wide range of activities and hit the big attractions in Seattle. This was a perfect long weekend for us and we’ll be doing this type of trip soon in Chicago next month. For the upcoming 4th of July weekend, the wife and I were looking to go away. Since it is a popular travel period and it is so close to the holiday paying for flights was not an option so we turned to miles (duh). We wanted to go somewhere with a nice beach but also within a 3-4 hour flight of New York since it was just a long weekend trip. Basically, we were open to almost anywhere in the Caribbean or Mexico as that satisfied the beach requirement, was close enough to NY and would be a great redemption with Avios. One thing I sort of dreaded though was searching every island or city for award availability until I remembered a very useful tool, the American Airlines Award Map. 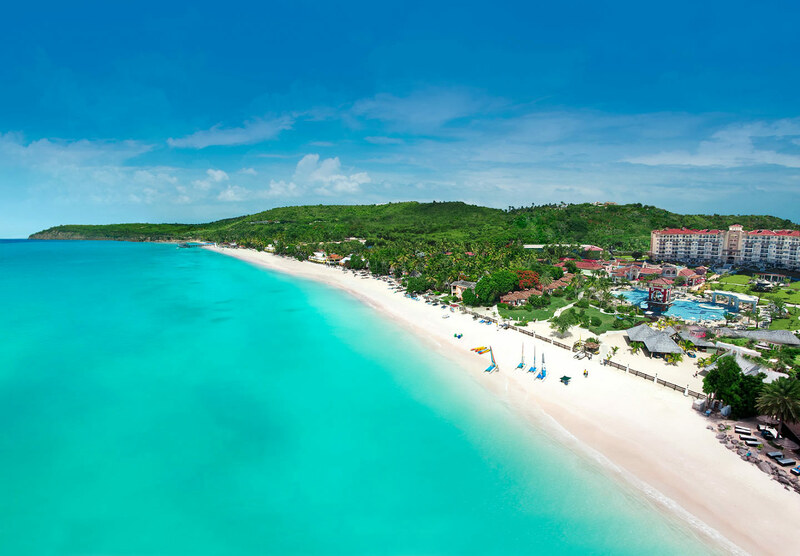 Since we really didn’t care when we ended up (with some exceptions), this tool really saved me a ton of time in this award search and as a result, we will be heading to Antigua for the holiday weekend! Here is how I did it. The Award Map is a very easy and simple tool to use though it does have some limitations. Being based in New York, I entered my home airport of JFK (this will also search LGA and EWR) and simply selected Mexico & Caribbean as my destination. Unfortunately, you can only search one set of dates at a time instead of a range or calendar of dates which would be great if you had a lot of flexibility. Since we wanted to go for 4 nights total and my goal was to minimize vacation days at work (July 3rd is a holiday for my company), I could only leave on 7/1, 7/2 or 7/3 with the appropriate returns matching up to be 7/5, 7/6 or 7/7. Do you see the “Total Miles to Use” box in the upper right? DO NOT enter your total AA mileage balance there as this will return every option under the sun since the searches will include standard awards. 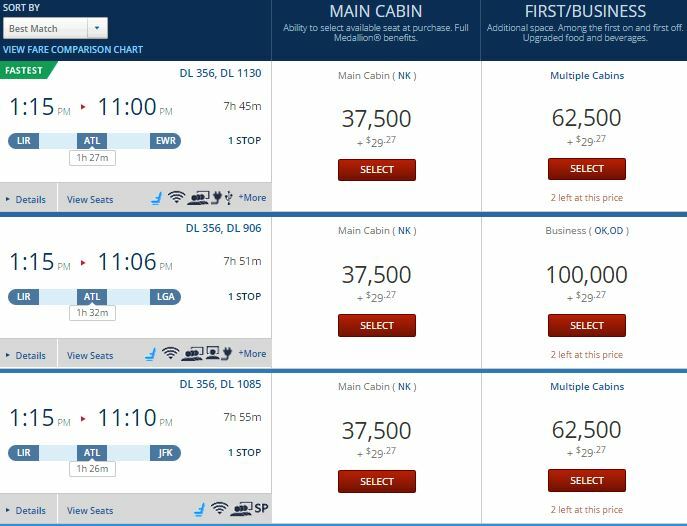 No one wants to pay 30k AA miles one way to fly to the Caribbean so don’t do that. Instead, I knew from the AA award chart a one-way trip at the saver level to the Caribbean costs 17,500 so I multiplied that by two for two passengers. It was important I searched for only saver awards since I wanted to use British Airways Avios for this award. While I just stated American charges 17,500 miles one way, British Airways charges only 10,000 miles from NY to most of the Caribbean since it is distance based so you definitely want to book these flights with via British Airways. Lastly, I chose to search one way since I always find it better to search one leg at a time for an award. If I searched for a roundtrip flight, I would miss flights that had availability to the Caribbean but maybe didn’t have any availability on the return. 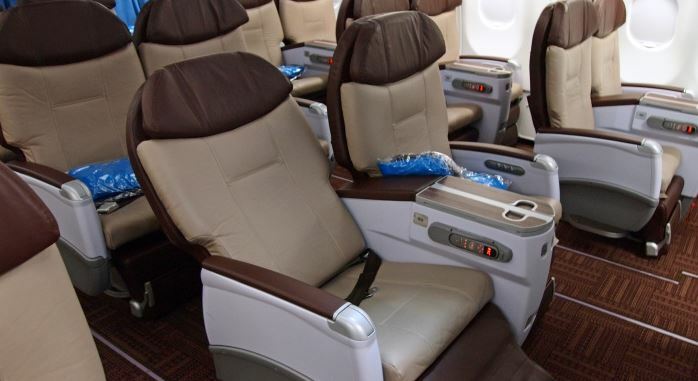 Or the only availability was in business class one way but economy in the other. In either case, I could try to use miles in another program or figure an alternative plan for the return. Basically, I want to safeguard against the map returning no results when in fact at least half of the flights I need could be available. Unfortunately, I’m an idiot and didn’t save the screenshot when I booked these flights recently but here is what the results looks like searching now for 7/3 from JFK to the Caribbean/Mexico. Not much available on 7/3 but tons of options if you wanted to leave on 7/4. The big limitation with the Award Map is not being able to do the inverse search – from anywhere in the Caribbean to a particular airport in the US. It will let me search anywhere in the Caribbean to anywhere in the continental US but that’s not helpful. My workaround for this is to now perform a roundtrip search after performing the initial one way search as you will know the space TO the Caribbean exists. If the map returns a result, then space on the return is available but only for that same cabin as the outbound. This still will not show if there is availability in a different cabin (e.g. business when outbound is in economy) so you would need to perform a search for the return the old fashioned away as seen in the screenshot below. When I searched last week, the only Caribbean destination that had availability was Antigua so our choice was easy for us! If there were multiple possibilities for this trip, I would have considered islands that we haven’t been to and could use hotel points for but that wasn’t in the cards for us this time. By the way, flights to Antigua are not cheap as they were running $688 per person! Using only 20,000 Avios (and paying $98 in taxes) per person, I secured these flights and got great value out of my miles at 2.95 cents a mile (even though it is not always about getting the best value per mile). The downside of going to Antigua (if there is one) is that there are no chain hotels I’m aware of on the island so no using hotel points for this stay. Thankfully, I have the Citi Prestige credit card and this seemed like the perfect time to book a 4 night stay with the card to get the 4th night free. Since we haven’t spent much on travel this year and our last night is free due to that card, we decided to splurge and book a luxury, all inclusive resort for the long weekend at Sandals Grande Antigua at essentially 25% off. We’ve never stayed in a Sandals or even a nice all inclusive resort but I’ve secretly always wanted to try one. The thought of not having to spend another dime once I land in Antigua (even the shuttle to the resort is included) is enticing. This is out of character for us but there seems to be a ton of people who love Sandals resorts, including some friends of ours. In order to get the 4th night free, you must call the Citi concierge who connect you to their travel provider and one of their travel agents will find and book the hotel you requested. If you don’t have a hotel in mind, they can assist with finding and choosing a hotel for you as well. While this offer sounds gimmicky, it’s not – the agent found the lowest rate I could find online and once I booked (and paid) for the reservation, I saw the statement credit just a few days later! So while this isn’t a totally free vacation for us, we’ll get to visit a new Caribbean island as well as get a whole new experience staying at a luxury all inclusive resort. Everything from food, drinks, transportation, water sports, scuba diving and other activities are all included so we should be able to kick back, relax and not have to think about spending money on anything while we are there. Sounds like the perfect 4th of July weekend to me!